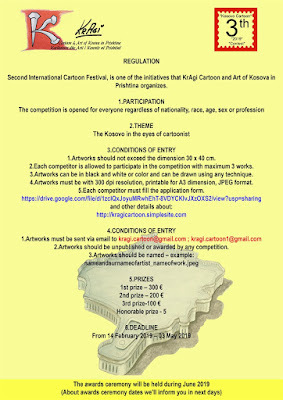 10. International Eskisehir Cartoon Festival “Black &amp; White (Compromise)” 2018, Eskisehir, Turkey..
Cartoonists all around the world participated to the international cartoon festivals which were organized by Active philosophy-Yeni Yuksektepe Cultural Association in Istanbul in the recent years. The first festival’s subject we arranged was mixed(1997); the second festival’s subject was “East and West”(2000); the third festival’s subject was “Water and Life”(2003), the fourth festival’s subject was “Global Warming”(2005), the fifth festival’s subject was “Intercultural Tolerance”(2007), the sixth festival’s subject was “Energy”. 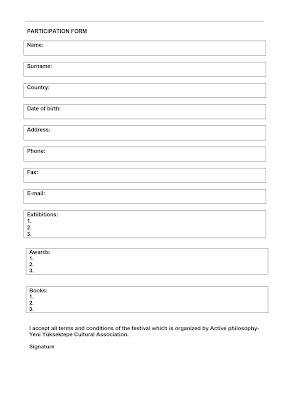 We organized 7th Cartoon Festival in Eskisehir in 2012 with the subject “Philosophy” with the collaboration of Anadolu University. We organized 8th Cartoon Festival in Eskisehir in 2014 with the subject “Voluntariness” with the collaboration of Anadolu University. We organized 9th Cartoon Festival in Eskisehir in 2016 with the subject “World Heritage” with the collaboration of Eskisehir Metropolitan Municipality total 55 countries, 979 cartoonists, 3028 cartoons. 10th International Eskisehir Cartoon Festival will also be organized by Active Philosophy - Yeni Yuksektepe Cultural Association. “Black &amp; White (Compromise)” is chosen as the subject of the 10th International Eskisehir Cartoon Festival which we are organizing this year. 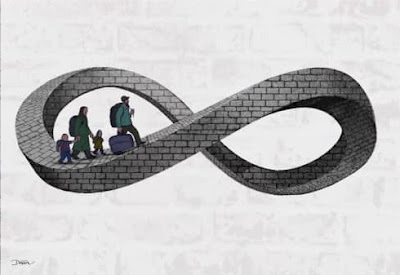 Active philosophy- Yeni Yuksektepe suggests a holistic development way to both society and individual in order to create solutions to the problems of the modern world by working voluntarily about different subjects. 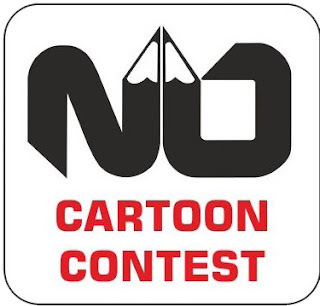 Regarding this, the concept of the opposites creating balance, harmony and compromise instead of conflict, constitute the theme of the 10th International Eskisehir Cartoon Festival. We expect your cartoons with the theme “Black &amp; White (Compromise)” based on the concept of opposite elements can exist together without losing their characteristics. Because we know that Black &amp; White, obviously opposite two elements, can exist in each other with great harmony. There is a compromise between them and the whole universe is dependent on that compromise. It is necessary to strengthen human being in physical, psychological and mental planes with practical applications because we know that problems start and end with human being. Increase in human consciousness will reflect on the way of life and the places s/he lives in. In spite of our daily experience and global news, we think that a world without conflicts is possible. Besides, exhibitions will take place on December 2018 with the theme “Black &amp; White (Compromise)”. We, Active Philosophy-Yeni Yuksektepe, expect your cartoons with the theme “Black &amp; White (Compromise)”. 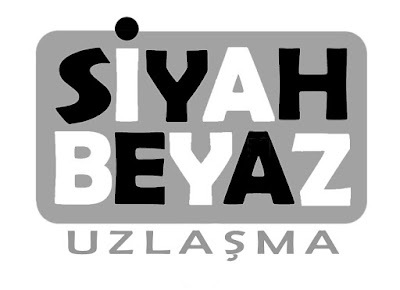 The cartoons to be exhibited during the festival in Eskisehir will also be exhibited in other branches of our association which are in other cities of Turkey such as Istanbul, Ankara, Izmir, Adana, Antalya, Bursa, Izmit, Mersin, Yalova and associations in abroad which collaborates with Active philosophy, Yeni Yuksektepe; for people who are interested in art. 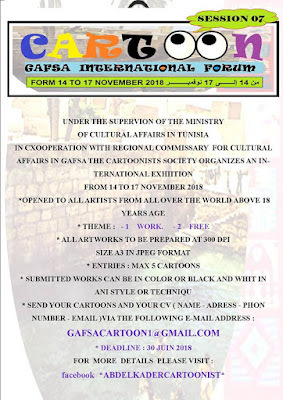 We would like to invite you to the 10th International Cartoon Festival which will be held on December 2018 with your talented cartoons. 1) EXHIBITIONS : Exhibitions of the cartoons under the theme of “Black &amp; White (Compromise)” will take place during December 2018. 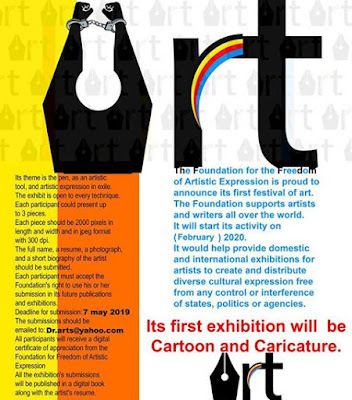 More than 200 well-known cartoonists are expected to participate to the exhibition as before. 2) SYMPOSIUM: An opportunity is created for inter-disciplinary works by performing a symposium under the theme of “Black &amp; White (Compromise)” with participation of guests on arts, science, philosophy. 3) CONCERT: A concert of AFMA music group will be held. 1) The theme of the exhibition is “Black &amp; White (Compromise)”. Cartoons not related with the main theme and the sub- themes, may not take part in the festival and the exhibition. The final decision is to be given by the Organizational Committee, and this committee works with cartoonist Tan Oral’s chairmanship. 1) Technique: Free. Black/white or colour. 2) Dimension: A4 or A3. No passé partout, no frame. 2) By post: If this way is preferred, cartoons shouldn’t have passé partout and frame. Please send them with filled participation form to the below address. 3) No limitation for the number of works to be sent for the exhibition. 1) All cartoons will be kept in the cartoon archives of Active philosophy-Yeni Yuksektepe Cultural Association and will not be sent back, unless there is a special request from the artist to send his/her work back. 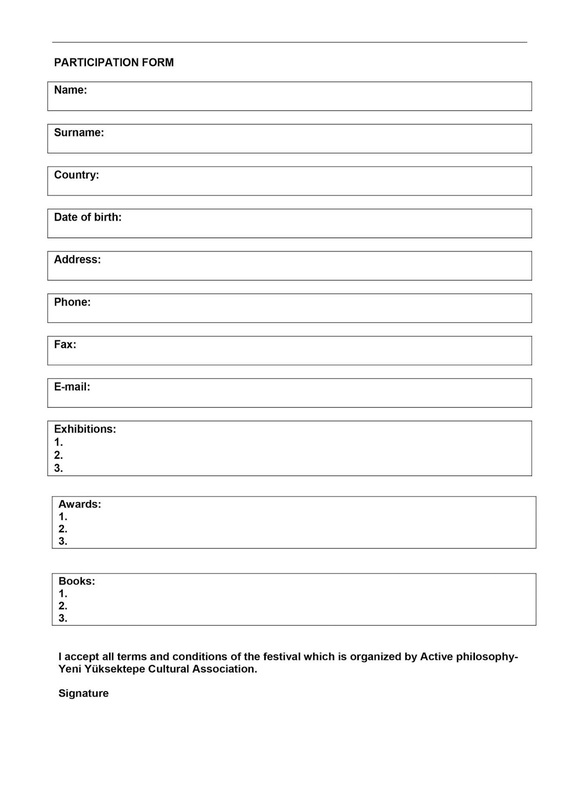 All the usage rights of the cartoons belong to Active philosophy-Yeni Yuksektepe Cultural Association which organizes the 10th International Festival without any commercial purposes. The originals may be printed or exhibited in Turkey or abroad; used for the books, magazines, catalogues, brochures, VCD’s and DVD’s to be printed by Active philosophy-Yeni Yuksektepe and its corporative associations in Turkey or abroad; sent to another association in Turkey or abroad for the purpose of exhibiting or printing without commercial purpose by Active philosophy- Yeni Yuksektepe. Even if the cartoonist sends the originals or the copies to Active philosophy-Yeni Yuksektepe, the cartoonist will be the owner of the publication and financial rights. 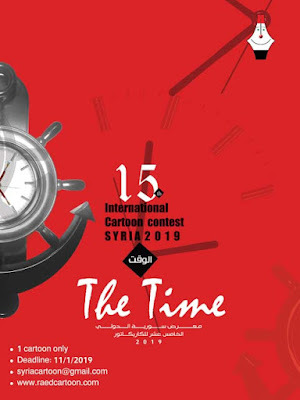 Cartoons that were exhibited in the festival will be covered under a catalog. A copy of the catalog will be uploaded on the Internet web site http://cartoonistfest.org free for download. News covering the festival will also be available on the same web site. The originals may be used in the news coverage about the Festival in the Print and TV Media. 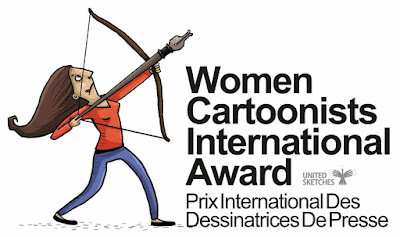 The deadline for the cartoons to arrive to the Festival Organizational Committee is 5th November 2018. Please send a reply e-mail to notice that you have received this e-mail. What is Yeni Yuksektepe Cultural Association? Active philosophy-Yeni Yuksektepe Cultural Association is a non-profit, non-governmental, philosophical-cultural organisation which does not have a religious or political identity. • To unite human beings regardless of their creeds, races, and social status around an ideal of love, respect, tolerance and universal fraternity. • To awaken a global vision in men and women through the comparative study of sciences, religions, arts and philosophies. • To enable men and women to live as a part of nature and to express their true personalities, by developing the capacities of each individual. We would be pleased to stay in contact with you and thank you very much for your attention. For your questions you can call us (between 18:00 and 22:00 every day) or send an e-mail.